The intensity of the returned light to the scanner means it can travel further, enabling the operator to be further away from the pallet rack barcode label. 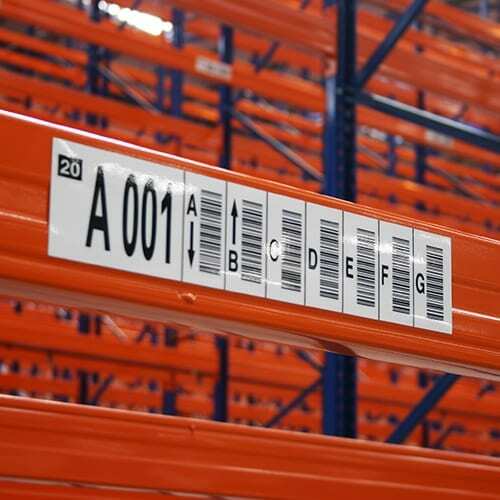 ASG Services produce all types of warehouse labels with unique barcodes, location references, arrow images and any other variable data content, all to meet individual customer needs. 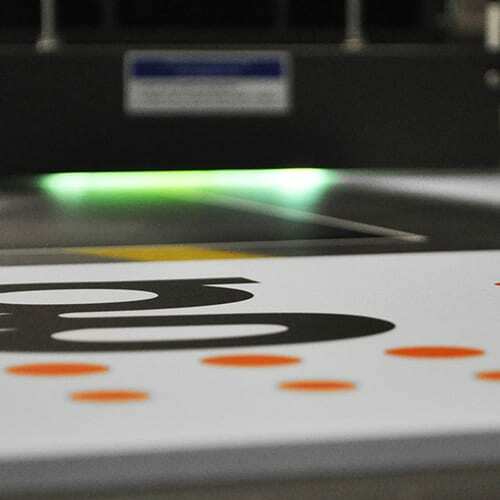 Our production techniques utilize the latest technologies needed to produce high definition print imagery which improve scanning verification and process speed. 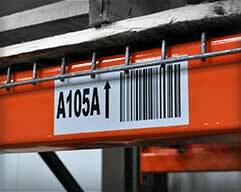 The intensity of the returned light to the scanner means it can travel further, enabling the operator to be further away from the pallet rack barcode label. This is achieved using the correct scanner, so we suggest you discuss this with your scanner vendor first, or requesting a sample label from us to be sure your scanners can handle them. We only use the best retro reflective material from 3M. 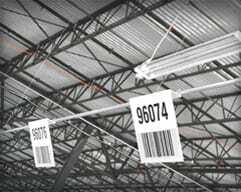 It enables us to create and scale barcodes to consistently achieve long-range scans and to determine the size of the barcode required, based on the label size. Label size is an important factor with retroreflective pallet rack labels, it can make a big difference in cost, so we always look out for savings for our customers. 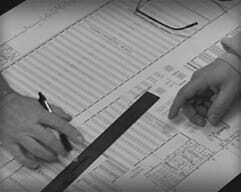 Our designs are customized to meet individual needs. 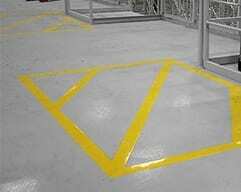 We help guide customers on layouts, location reference files, proof documentation and even provide fully managed installation services for pallet rack labels throughout the US. 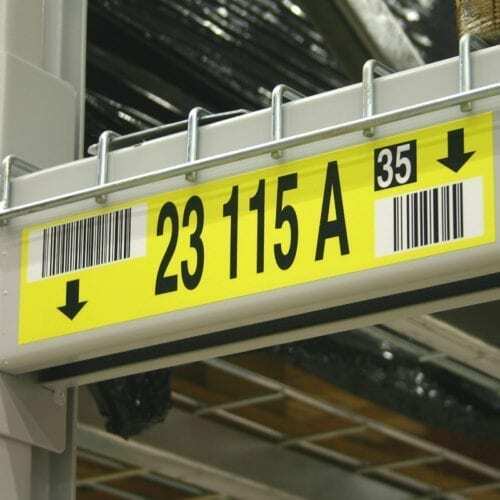 Our teams are trained in-house and combine rack labels with aisle signs, barcode signs and line striping for a complete service. 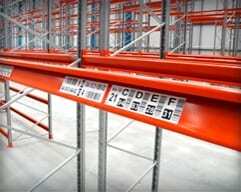 We are happy to speak with you to help get your project going or just to answer basic information so you can decide on the best pallet rack label option for your needs. 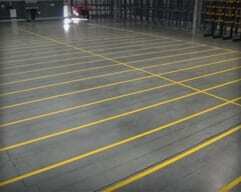 If we think there might be a cheaper option for a customer, we will let you know. It’s in our interest to look after customers through cost effective solutions, we find it’s the best way to convince them to return for more. We're hear to answer your questions, provide advice and generate pricing if needed, so please feel free to call. Send your questions, photos, designs and anything else you want to help us provide with everything you need for your project. Request your samples and we'll get them moving so you can try the performance for yourself.